This statistic shows the share of global users who accessed music through copyright infringement as of 2017, sorted by age group. 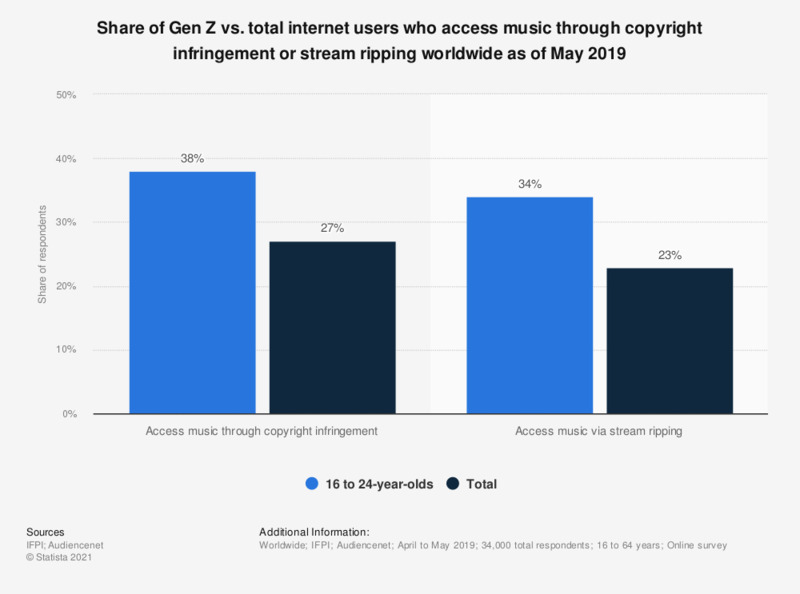 During the survey period, 45 percent of respondents aged 25 to 34 said that they had accessed music via copyright infringement in the six months preceding the survey. Countries surveyed include: US, Canada, GB, France, Germany, Spain, Italy, Sweden, Australia, Japan, South Korea, Brazil, Mexico.